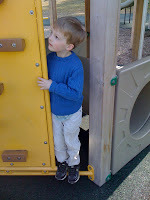 I spent this morning up in the Brooklyn (CT) area, enjoying the warm weather with Ava and Noah. 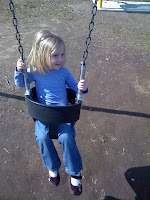 The best fun was at a playground near Jaimie's house, where the kids ran and jumped and swung and laughed. Later, back home, I sat in the park for awhile, reading George Eliot and feeling very fortunate to be alive.